Yes, you are busy and there aren’t enough hours in the day, but by spending a few minutes on your LinkedIn about three times a week you will to start to see the benefits. 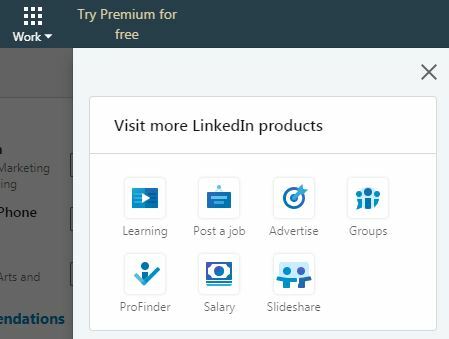 Open your LinkedIn profile Home feed (on the top banner on the left). This is where everyone you follow or are connected to will show up if they post, like or comment on any feeds on LinkedIn. Take a look and if you find something interesting, like it or even better, why not add a comment yourself? Go to your Groups page: on the top banner on the right, click on the 9 dots image with the word Work and then click on Groups. Here you will see a feed of all your groups that have current discussions. Take look and if you find something interesting, get involved by liking and commenting. It might be worth seeing who comments and then you could investigate their roles and who they work for. This will increase your knowledge and exposure. Take a look at your 1st connections and find someone who is important to you and contact them. You can try LinkedIn messages but some people do not check these regularly so why not try emailing them? To find a contact’s email, go to their profile, click on Contact and Personal Info on the right to see if their email is listed. Many are. Hi ______ , I was looking through my LinkedIn today and sadly I realised that I have not been in touch with you for a while. Hope all is well with you? I am working at _______ and am doing _________. How are you doing? (and maybe add in…..I am currently considering new opportunities and wondered if you knew of any projects that may be interested in my experience of…….?) Hope to hear from you soon. Put your cursor into the search bar on the top banner and press return (leave the text box blank). You are now in the Advanced search area. Type in anything you want to know more about and then click on the tabs People, Jobs, Posts, Companies and Schools to find lots of helpful information. You can also try Boolean searches using ‘and’, ‘or’, etc. It is easy to forget your own profile when you are busy. Take a few minutes to check that everything current, for example does your headline need refreshing? Are the first two lines of your summary and your top three Featured skills and endorsements selling you? For inspiration take a look at other people’s profiles. Why not link with me? Or join one of my LinkedIn webinars next week (Weds 7 Feb at 12:00-13:00 and 15:00-16:00, see the details here. And there’s more information on our Networking pages. Thanks very much Hermione! Please feel free to get in touch if you’ve got any further questions about LinkedIn or other careers queries.